Jeremy Pruitt has reportedly already found his replacement for Terry Fair on his staff at Tennessee. It was reported on Friday afternoon that Pruitt and Tennessee were parting ways with former Vol and cornerbacks coach Terry Fair. Tennessee reportedly offered Fair an off-field role to stay at UT, but Fair turned down the offer and won’t be retained heading into the 2019 season. Now, Pruitt has reportedly already found Fair’s replacement. 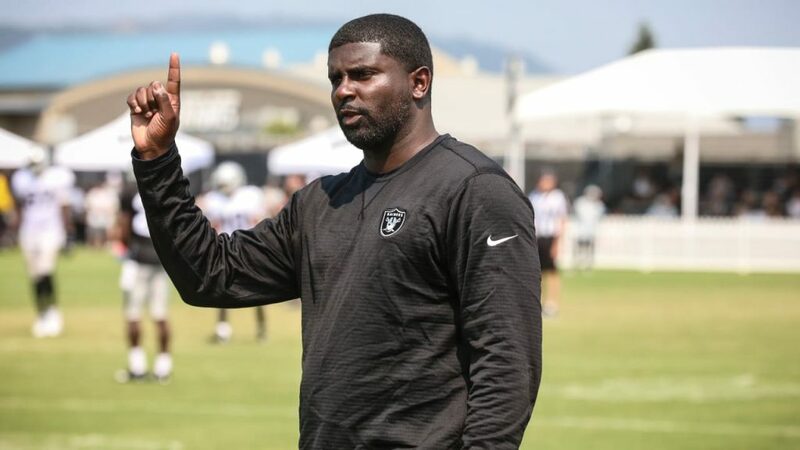 According to a report from Patrick Brown of 247Sports, Pruitt is expected to hire Oakland Raiders defensive backs coach Derrick Ainsley to his staff “barring any unforeseen circumstances.” Right now, Ainsley’s specific role isn’t known, but it’s expected he’ll coach in the secondary and could get a co-defensive coordinator role according to 247Sports’ report. Tennessee does already have two co-defensive coordinators on staff in Kevin Sherrer and Chris Rumph, however. But Jeremy Pruitt was the primary play-caller on defense this past season regardless of titles. Tennessee currently has two vacancies on defense in the secondary, as both Terry Fair and safeties coach Charles Kelly are no longer with the program. Kelly left earlier this offseason to coach at Alabama. Ainsley has coached with Pruitt before, and he’s previously coached at Tennessee as well. Before he went to the NFL for the 2018 season, he was an assistant at three different SEC schools. Ansley was a graduate assistant at Alabama in 2010 and 2011, and that’s where he first met Pruitt. Pruitt was the Tide’s defensive backs coach at the time. Ansley then left Alabama and was hired on as Tennessee’s cornerbacks coach in 2012. There, he worked with Jim Chaney who was UT’s offensive coordinator and is now back in that role heading into the 2019 season. After one year at UT, Ansley coached cornerbacks at Kentucky in 2014. He was promoted to oversee their entire secondary in 2015 and stayed on through the 2016 season before returning to Alabama. He was hired on as the Tide’s defensive backs coach in 2016, reuniting with Pruitt — who was now the Tide’s defensive coordinator. Ansley spent two years at Alabama the second time around before leaving the Tide to join Jon Gruden’s staff at Oakland in the NFL. Not only are the Vols getting an experienced assistant to coach their secondary, but Ansley has proven to be a quality recruiter in the SEC during his six years as an on-field coach in college prior to this year. According to the 247Sports recruiting database, Ansley has been the primary or secondary recruiter for 10 different players rated as four-star prospects. That includes players like running back Boom Williams, offensive tackle Jedrick Willis, wide receiver Henry Ruggs, cornerback Jayln Armour-Davis, and safety Xavier McKinney. Plus, he was the primary recruiter for Cam Sutton at Tennessee, so it’s clear just from that alone that he knows how to identify defensive back talent at the high school level. Ansley will be the third new addition to Tennessee’s coaching staff this offseason. Pruitt hired the aforementioned Jim Chaney away from Georgia to serve as the Vols’ offensive coordinator, and he’s also hired former Vol Tee Martin to serve on his staff, though Martin’s role has not been clarified yet.